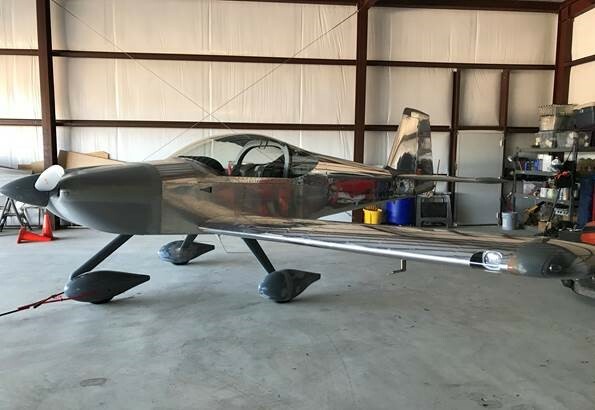 Yes, another RV-14A has been built and fly’s great! 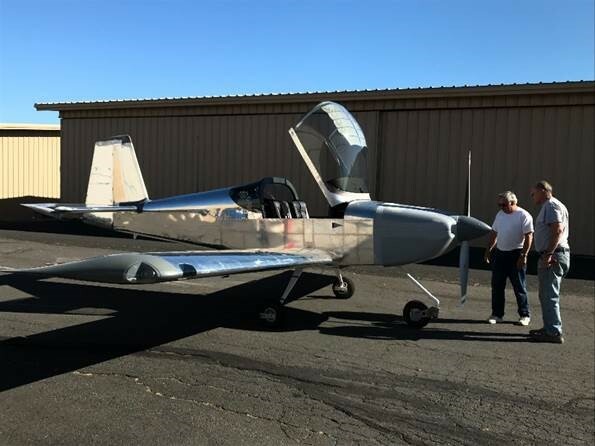 On October 20, 2018, number 140470 lifted off at Bend Municipal Airport just 3 months after the QB kit was delivered from the Van’s factory. Building an Rv to replace my prior certified airplanes has always been a project I dreamed about. Like most people, family, kids, and work often leave limited time for hobbies. In January I retired, the kids are out of college and I sold my retract airplane and scheduled a trip to Van’s. Special thanks to my wife of 30 years for encouraging me to pursue such an endeavor in 2018. On my trip to Van’s in early February, I ordered the complete RV-14A QB Kit. I returned to Oregon in April and built the tail kit at Bend Builder Assist. I greatly appreciate the decades of aviation experience Mike Robertson and his build assist team have with all types of aircraft. Their military service and civilian training reflect their passion for assisting builders like me who are willing to work long hours with limited builder training. An EAA advisor told me the Quickbuild 14 would take at least 1000 hours and he was correct, 1175 building hours to be exact, not including paint and finish. I truly enjoyed my time at Bend Builders Assist. The EAA Chapter and flying community at Bend is also very special, a great group of friends. Abby at Flightline Interiors you are the best! You provide the best customer service and value in the experimental business. Good planning is the key to building an RV in less than a year. It also helps that the RV-14 is less art and more science than past RV’s given the modern engineering, illustrated instructions, photos and drawings. It was an easy choice to build the RV14-A using Van’s recommended new Lycoming IO-390, Hartzell 2 blade C/S 74″ prop and firewall forward parts, all top quality and great value. The engine and prop combo from Van’s is hard to beat, especially with the extended TBO of the new Lycoming. I chose all Garmin avionics to complete my IFR panel including dual G3X 10″ displays, GMC 507 AP, GTN 625 Nav, GTX 45R (ADS-B traffic and WX), dual comm’s, engine management system, AOA, GMA 245 and more. I installed dual Plane Power alternators, TWC backup with an Earth-x 900 starter battery. This RV-14 was built as designed, no mods. 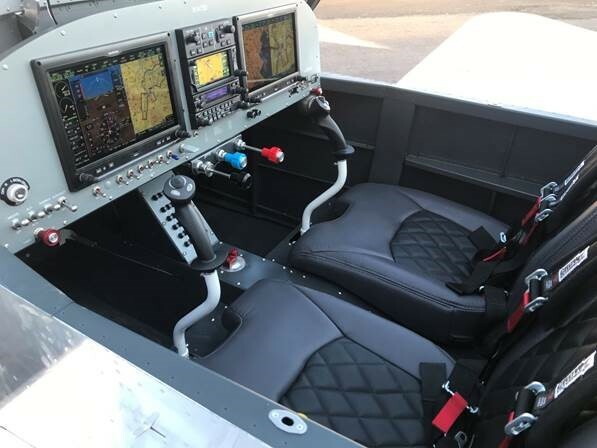 The all Garmin package makes integration seamless and Tim at Approach Fast Stack provided a mil-spec wiring harness that made the panel installation process enjoyable. Stein Air builds the optional QB airframe wiring harnesses and they provide superb customer service. Thanks to all for the answering my questions. The Results: My RV-14A currently has 65 flight hours and the engine/prop combo are smoother than any plane I have ever flown (after Dynamic prop balance). The airplane will climb at more than 1800 FPM and reaches cruise altitude effortlessly. Cruising at 68% power or 2350 RPM /24-25 MP at altitude it consistently cruises at 165-168 Kts consuming 10.2 GPH. Pulling back the power in Class B airspace to 150 Kts you will see 7-8 gallons per hour. Cylinder head temps are 320 -360 thanks to a well-designed cowl and baffle. Oil temps are easy to manage at 180 -190 with the large cooler and Cleveland oil door. The lean assist on the Garmin G3X Touch is perfectly integrated with all the sensors and make engine/fuel management simple. The Garmin avionics are amazing, a true modern RV. 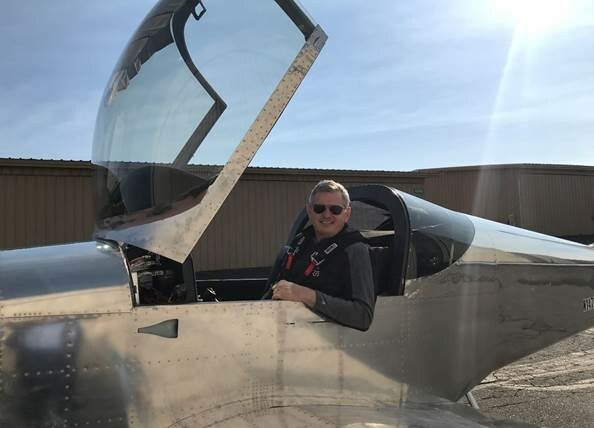 My 2018 RV-14A is comfortable, stable, fast and responsive to fly. I look forward to flying and traveling in this airplane for years to come.